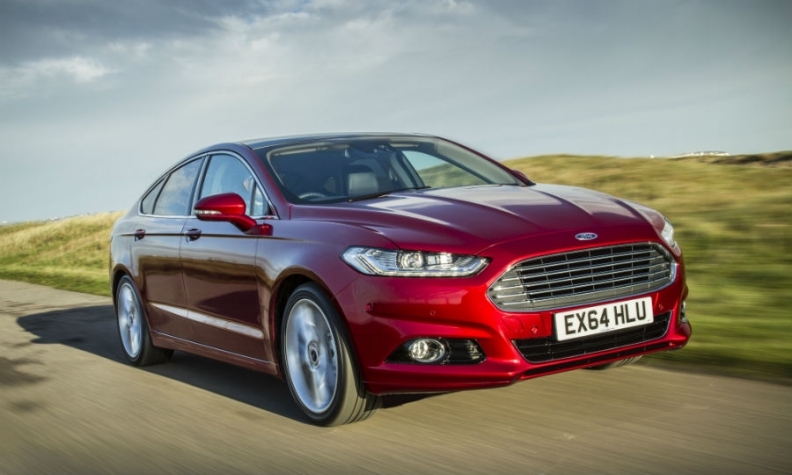 Ford says the Mondeo uses no "tricks" to lower emissions. BERLIN -- Ford said German motor authorities are investigating Mondeo diesel emissions after a magazine said the car was being inspected for the possible use of cheating devices. Ford said none of its cars is equipped with illegal emissions cheating software. Ford Germany said in an emailed statement on Thursday that all its vehicles and engines, including those with its latest diesel engines, complied with current emissions guidelines and did not contain illegal software devices. Ford said it had been contacted by Germany's KBA vehicle certification authority about its Mondeo 2.0 TCDi model and it would to cooperate with the German authority. German business magazine WirtschaftsWoche said in a report Thursday that the Mondeo was being inspected by the KBA at the behest of the transport ministry for the possible use of cheating devices. Germany's transport ministry was not immediately available for comment. WirtschaftsWoche said the inspections were prompted by emissions test data that could indicate the use of such devices. An unnamed institute has been commissioned to carry out the tests which are already underway, the weekly publication said. WirtschaftsWoche cited Ford Germany chief Gunnar Herrmann as denying any wrongdoing. "No illegal shut-off devices were used in our diesel exhaust after-treatment systems," he told the magazine, adding that Ford had "neither cheated, nor used tricks." The car industry has been under scrutiny since U.S. regulators exposed emissions test cheating by Volkswagen nearly two years ago. This led to wider revelations that diesel vehicles from most manufacturers release far more toxic NOx on the road than in tests. Ford and Germany's three main carmakers - VW, Daimler and BMW - this week announced incentives to drivers who trade in older diesel models for new, cleaner models.